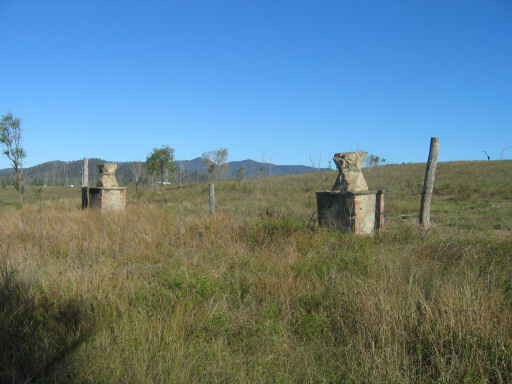 Camp Rockhampton was a large US Military camp that was spread across a large area of Rockhampton in central Queensland during WWII. Each area of Camp Rockhampton was lettered from A to V.
Area A - Hospital was located along Yaamba Road in the area of Risien Street, Standish Street, Brazil Street, Hatte Street, Potts Street and Richardson Road located across Yaamba Road from Lawrence Motors. 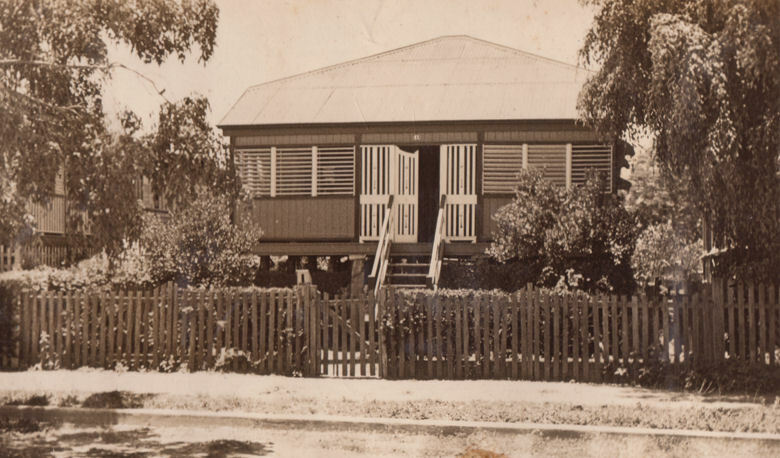 Area B - Hospital was located in the areas of Barrett Street, Atherton Street, Lambourne Street, Neish Court and straddling Richardson Road. Area C - Medical Battalion was located in the area bounded by Farm Street, Scott Street, Yaamba Road and Richardson Road and covers Crane Avenue, Lutton Street, O'Donnell Street, Crick Street, McCauley Street, Beaney Street, Dawes Street and Harden Street. Area D - Corps Company - was located in the area bounded by Farm Street, Yaamba Road and Carlton Street. Area E - Recon. Company - was an area of land in the north west corner of the intersection of Farm Street and Yaamba Road. Area F - was located further along Yaamba Road just north of Area E.
Area G - was located between between Area F and Area H and is roughly bounded by the railway line Boundary Road, Slade Street and Nuttall Street. 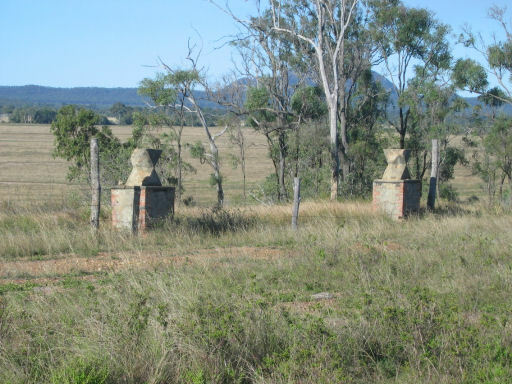 It comprised 7 large storage sheds some of which still exist today at 401 Siding, Queensland Railways. Area H - Was further along Yaamba Road past Area F just past Limestone Creek and covers the land between Yaamba Road, the Railway Line and includes Boundary Road, and Featherstone Street. Area I - Was bounded by the railway line, McLaughlin Street and its northern boundary was William Palfrey Road. It included land used by St George's Orphanage. Area J - was bounded roughly by the Rockhampton - Yeppoon Road, Skardon Court, Limestone Creek and crosses Boundary Road. 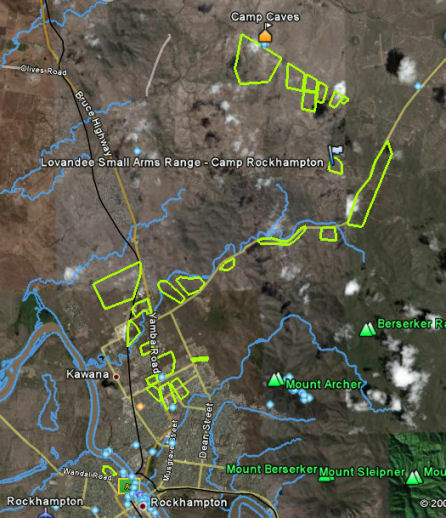 Area K - was located along the southern side of the Rockhampton - Yeppoon Road opposite Griegg Road near Limestone Creek. Area L - I believe this may have been on land on the southern side of the Rockhampton - Yeppoon Road opposite Caporn Road. Area M - Ran along the eastern side of the Rockhampton - Yeppoon Road in the vicinity of Ironpot. Area N - Artillery Headquarters - Located along the southern side of Artillery Road. Area O - Artillery Battalion - Located along the southern side of Artillery Road. Area P - Artillery Battalion - Located along the southern side of Artillery Road. 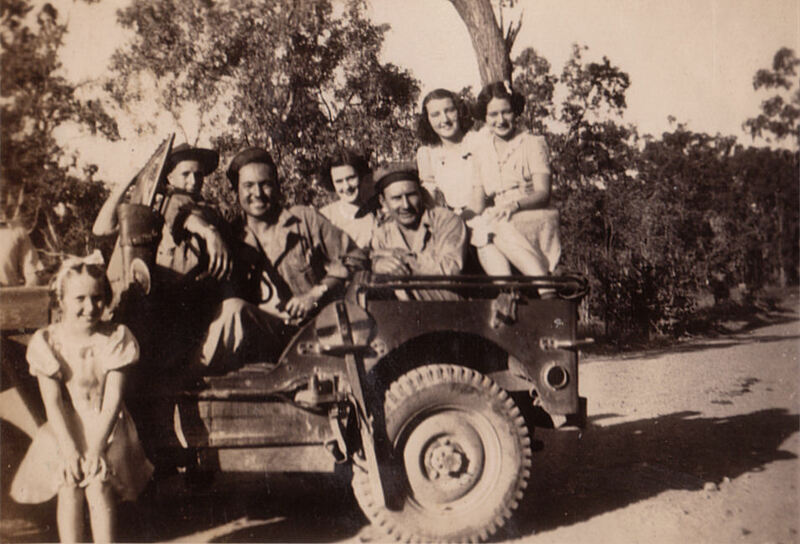 Area Q - Artillery Battalion - was located on the eastern side of Zamia Hills Road near Artillery Road. Area R - Artillery Battalion - Was located on the eastern side of Zamia Hills Road below area Q. Area S - Engineering Battalion - Was located on the western side of Zamia Hills Road on the southern side of Artillery Road. Area T - Mt. Hedlow Airfield - there were 5 hangars around this airfield. In August 2008, Peter Landis told me that the Scout Association now has the area known as Area K. Peter remembers going there when he was in the Scouts (40 odd years ago) and finding US badges, coins and shell casings. There was even one hut still standing then. Peter believes that hut has now gone. 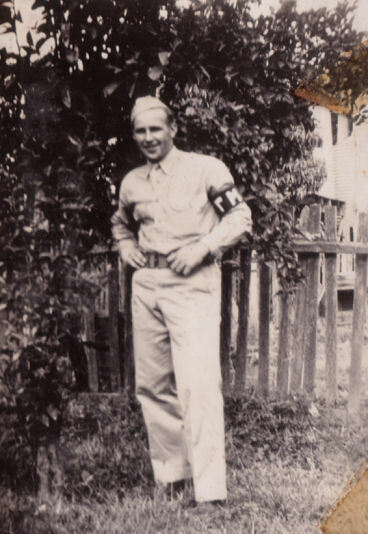 Peter Landis's father was a US serviceman from the 24th Infantry Division and met and married his mother in Rockhampton. 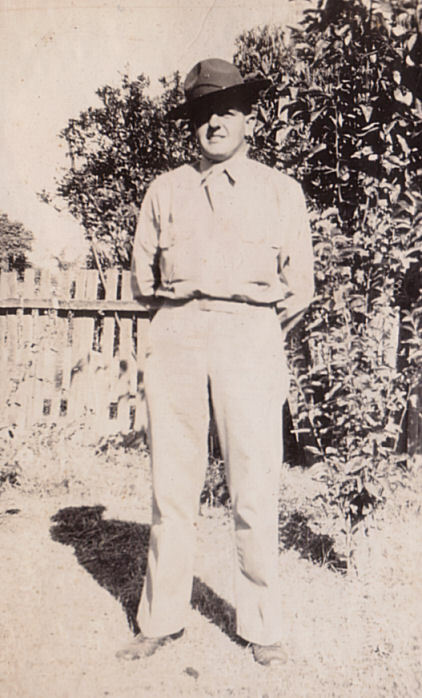 Peter's father had no problems being discharged in Australia after the war. 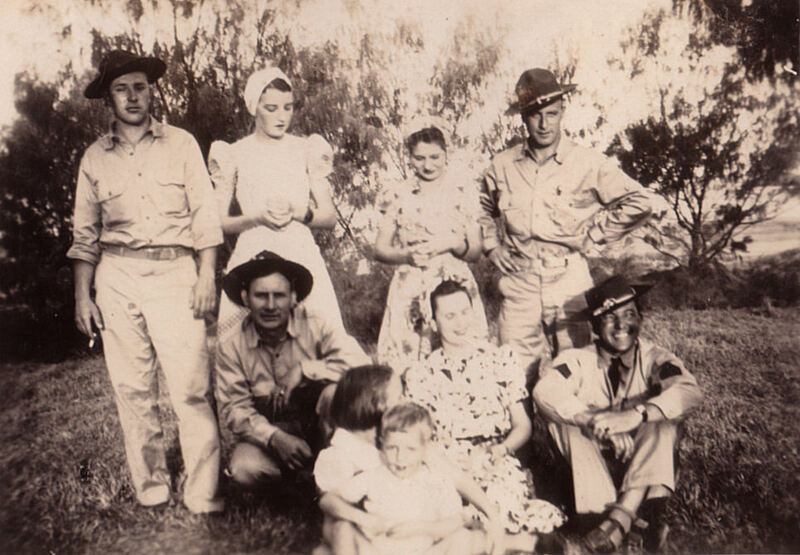 Peter remembers, there was a very large contingent of ex US servicemen who had married local girls in the Rockhampton area who had stayed behind. 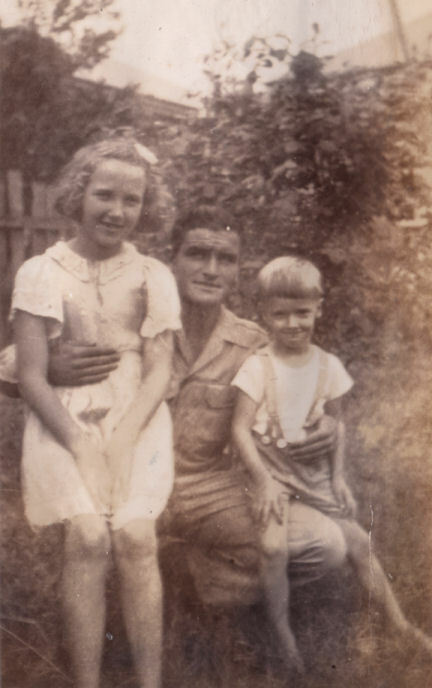 Peter remembers as a child going to a number of functions with the families of the ex servicemen. There was a newspaper article about one of these functions back in the mid fifties. Setting Sun insignia that spanned the gates back then, but they have since disappeared. all that remain are St Christopher's Chapel and what is now left of these gates. 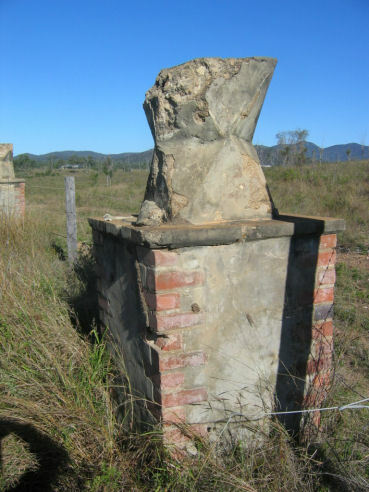 A close-up of the remains of one of the bases of the arched gateway. 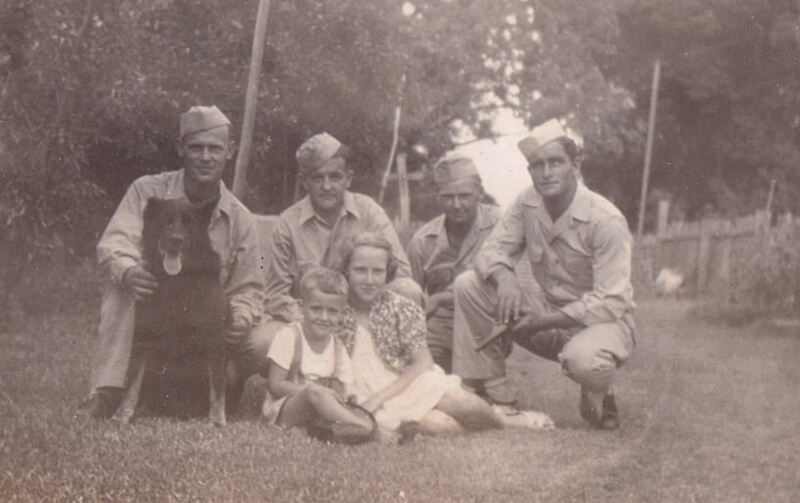 Some American soldiers with Rita Dunn and Peter Dunn and their dog "Pop" or was it "Prince"? 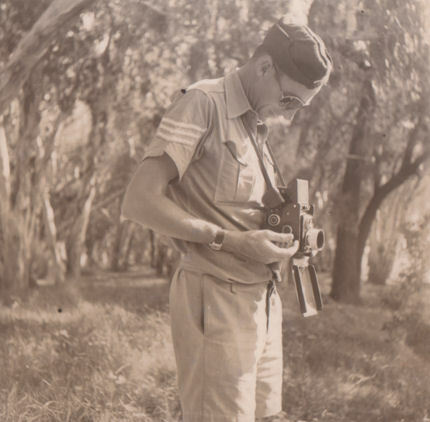 One of the many soldiers who served in the Rockhampton area was Grant H. Levin, a neuro-surgeon who had recently purchased a new camera and wandered into a camera club meeting one night in Rockhampton and met Mr Bencke who helped to teach him how to use his new camera. 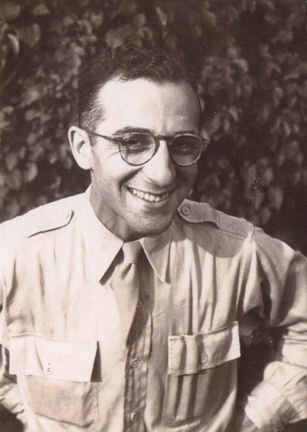 Some research shows that there was a Doctor Grant H. Levin, a neuro surgeon at Mt Zion in California after the war. 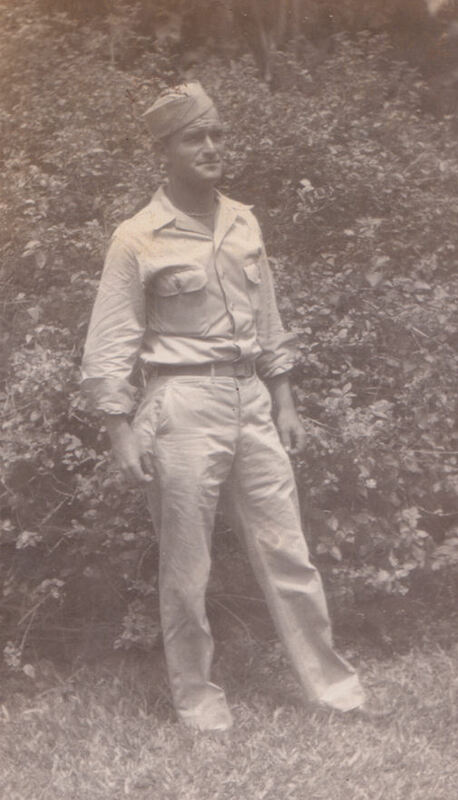 This is possibly the same Grant H. Levin. 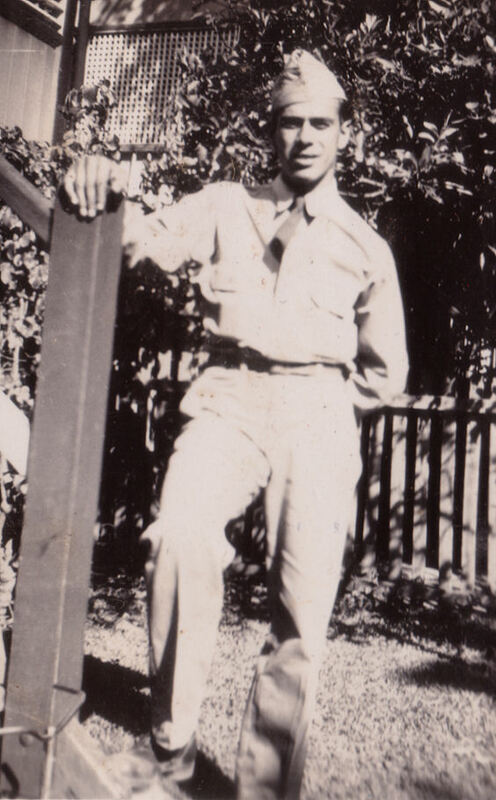 Carl R. Thien was in Headquarters Company, I Corps and was based in the Botanical Gardens which was part of Camp Rockhampton during WW2. 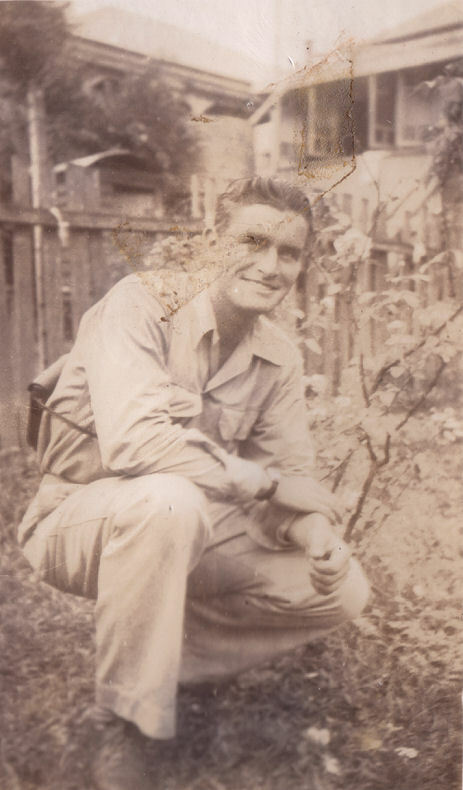 He later went on to serve as a combat photographer with the 201st Counter Intelligence Corps (CIC) in Australia, New Guinea and the Philippines. While in Rockhampton, Eleanor Roosevelt visited their camp. The officers of I Corps were stationed in the Criterion Hotel. 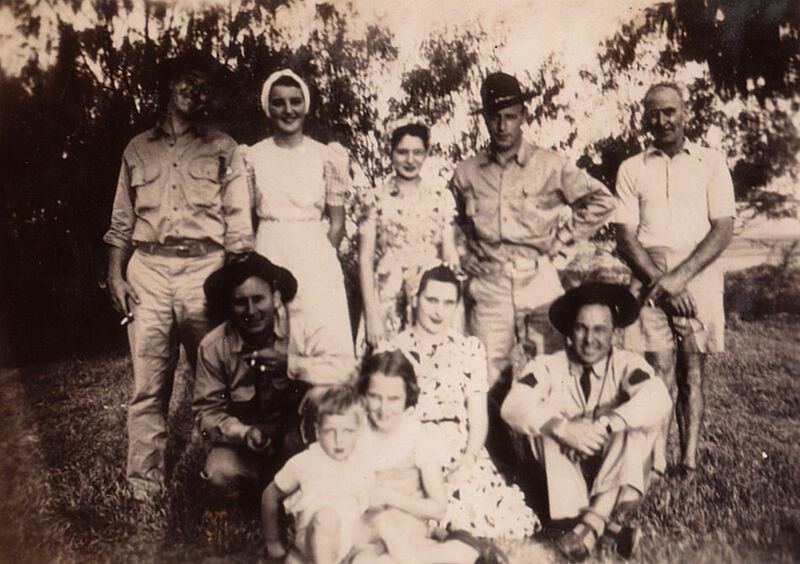 When Carl and his grandson Justin Taylan visited Rockhampton in 1993, Carl found many people he knew, including the Rawkins (friends with US soldiers). During the war Carl camped at the edge of the Botanical Gardens on the Lacey's property (They could not find them). 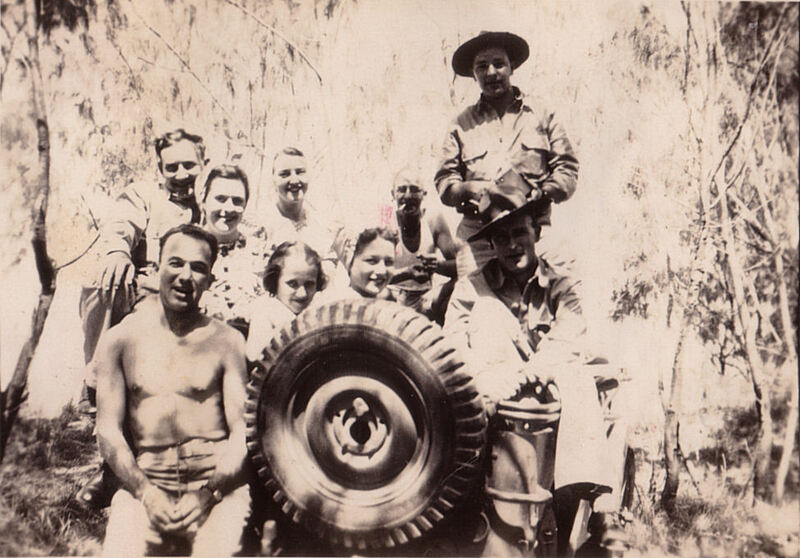 Also, he met up with one of his friends who married an Australian girl and moved to Rockhampton after the war. I'd like to thank John Bencke and Peter Landis for their assistance with this web page. 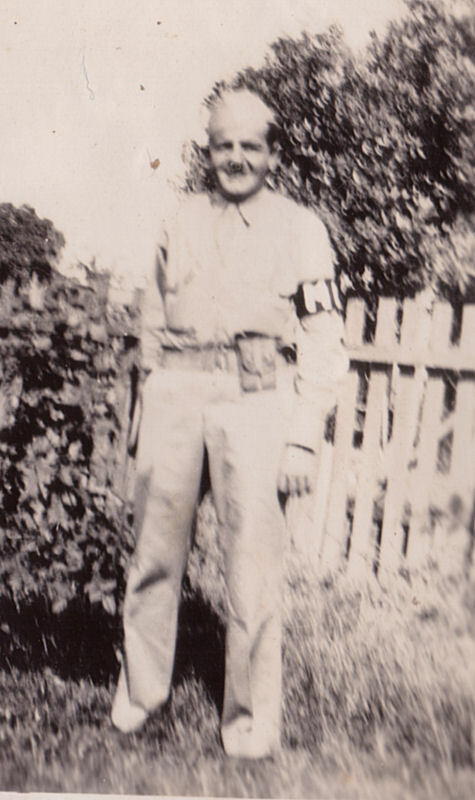 I'd also like to thank Justin Taylan, grandson of Carl R. Thien, for his assistance with this web page. When he was sixteen years old, Justin Taylan researched, wrote, illustrated and published a book called "No Place for a Picnic". 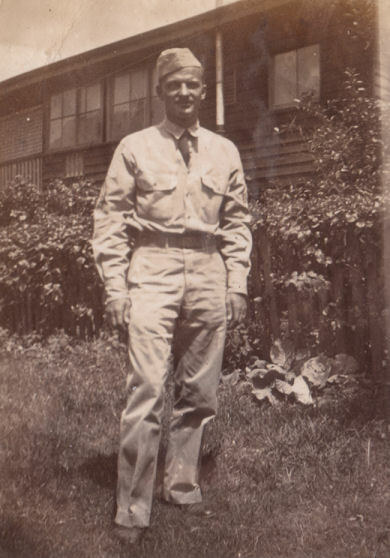 The 208 page book deals with his grandfather, Carl Thien's World War II Army service in the Pacific as a combat photographer.